JERUSALEM (JTA) — During the five-plus years of Syria’s civil war, Israel has striven to stay neutral — supporting neither the government of President Bashar Assad nor the rebels, and certainly not the Islamic State. But on one issue, senior Israeli politicians have gladly taken sides: Israel keeping the Golan Heights. Facing reports of an international call for Israel to leave the territory as part of a settlement of the Syrian crisis, the Israeli Cabinet met Sunday on the Golan. The unprecedented meeting aimed to demonstrate that Israel’s 21,000 citizens in the heights — in addition to some 20,000 Druze residents — weren’t going anywhere. It wasn’t so long ago that the heights, which Israel conquered from Syria in the 1967 Six-Day War, were up for negotiation. Israel annexed the mountainous strip of land on its northeast corner in 1981, a move the international community has never recognized. But until the Syrian civil war began in 2011, rumors had frequently abounded that it would be returned as part of an Israel-Syria peace deal. Israel had already signed treaties with Egypt in 1979 and Jordan in 1994. As Israel and the Palestinians flirted with a final accord in the 1990s, Israelis wondered if peace with Syria, their last major Arab adversary, was also in the offing. Prime Minister Yitzchak Rabin declared at a 1994 Cabinet meeting that he would be willing to agree to a phased withdrawal from the Golan Heights in exchange for full peace and normalization. But those talks — as well as subsequent rounds through 2000 and again in 2008 — went nowhere due to enduring gaps in the two sides’ positions. As with the Palestinian negotiations, Israelis who opposed withdrawal from the heights mounted a vigorous public protest campaign. They argued the Golan was an essential strategic asset that Israel couldn’t cede. For years, bumper stickers displaying the slogan “the nation with the Golan” freckled cars, lampposts and public spaces. In 2008, a poll showed that 59 percent of Israelis opposed giving back the Golan, with only 25 percent supporting withdrawal. As Syria’s war has become only more complex, opponents of Golan withdrawal are claiming vindication. Some on the right have drawn a link between returning the Golan and withdrawing from the West Bank, calling them equally foolish. 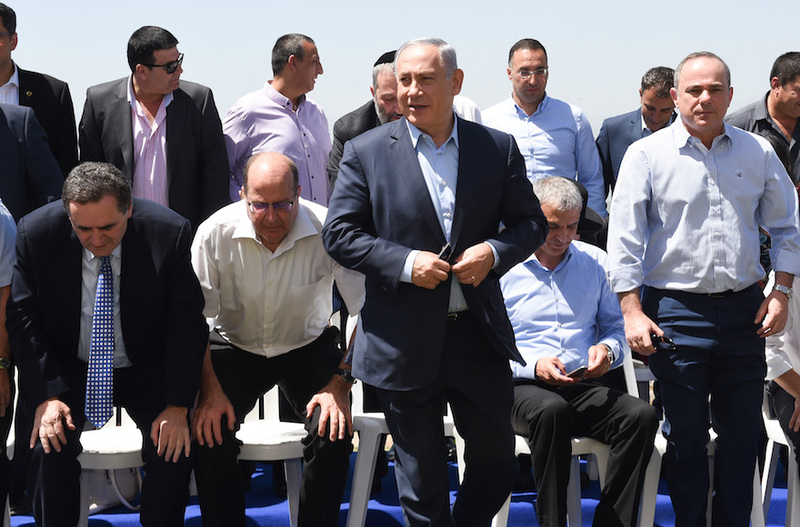 Speaking last June at the Herzliya Conference, Israel’s premier defense gathering, pro-settler Jewish Home Chairman Naftali Bennett called for Israel to quintuple the Golan’s Jewish population to 100,000 within five years. While a population surge is unlikely, Israel’s Cabinet voted Sunday to devote additional funds to the Golan as a show of permanence there. Through 2018, Israel will spend an additional $2.3 million on culture, energy efficiency and preservation of historical sites in the area.